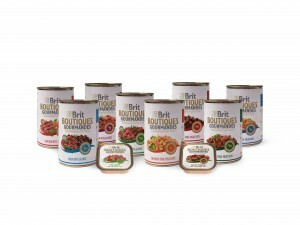 Vafo Praha s.r.o., producer of popular Brit dry pet food, is introducing its new line of Brit Boutiques Gourmandes super premium quality canned meat and gravy for dogs to the market. In doing so, the company responds to breeders’ interest in canned food containing portions of 100% meat for true doggy gourmets. Brit’s priority with developing their new Boutiques Gourmandes products was exceptional taste, now available in a wide spectrum of flavours including lamb, salmon, duck, chicken, rabbit, beef, and wild game. An exclusively high portion of meat is contained in each of the three varieties of the new canned meat products: True Meat Bits, Paté with Bits, and One Meat. 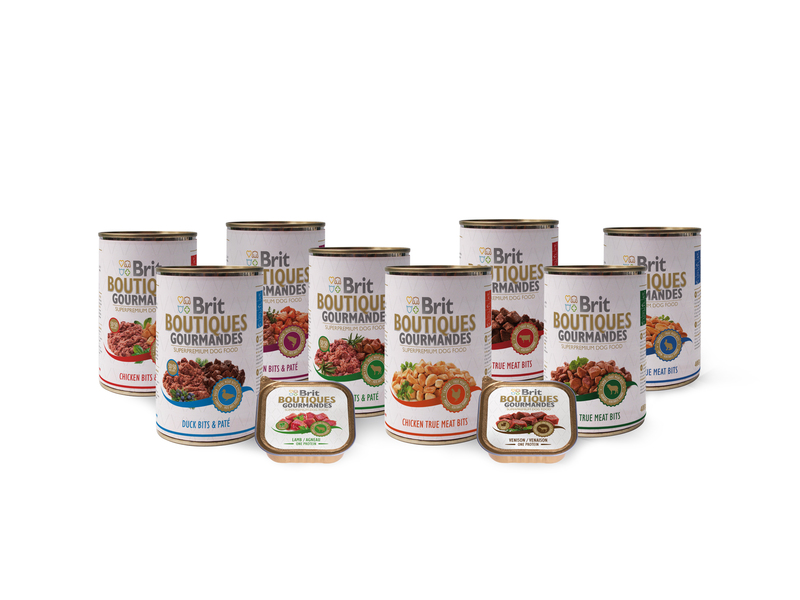 Brit Boutiques Gourmandes canned meat is produced on the basis of maximum lean meat content (97-100%) excluding hypoallergenic or unhealthy ingredients such as animal by-products, cereals, starches, chemical flavouring, or food preservatives. The composition of the canned product not only guarantees its excellent taste, but also preservation of the beneficial nutrients it contains. Apart from high quality, hypoallergenic ingredients, Brit Boutiques Gourmandes‘ potential lies in the natural method of preservation employed. Canned meat may, for example, be mixed with dry food. “Dog breeders often ask me whether they should soak dry dog food or not. I say, ‚Why not?‘ but it doesn’t make sense to prepare broth to preserve the taste. It is precisely with these kinds of combined meals that canned food containing gravy is good for as it not only adds flavor but moisten the food as well,” states renowned expert on animal nutrition, Martin Kváš. Canned meat can also be used in this way when combined with pasta or rice. Another frequent way canned meat is used is in combination with vegetables and other products, otherwise known as the Bones and Raw Food (BaRk) diet. 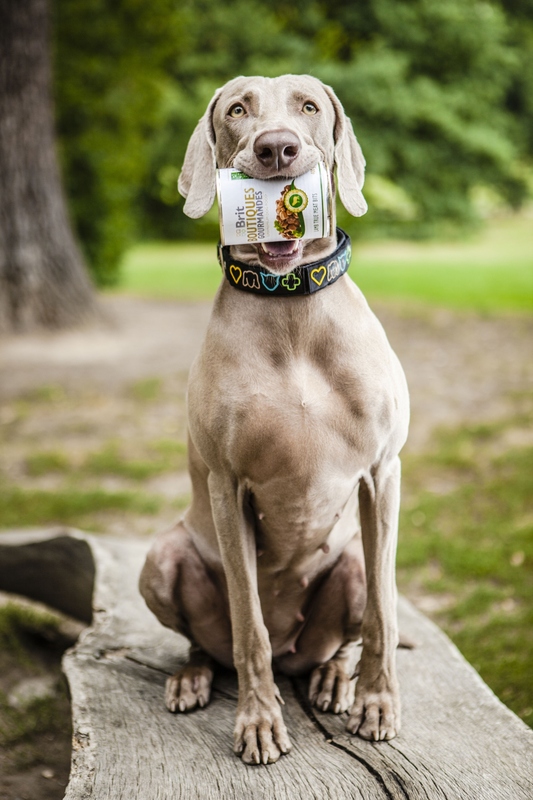 The addition of canned meat simply makes a dog’s meal more enticing. “Supplementing your pet’s diet with canned meat is only to be recommended. In certain cases, for example, in older dogs suffering from dental problems, during loss of appetite before delivery of a litter, or during convalescence after an operation, it is possible to switch to canned food without any concerns,” Martin Kváš summarizes. True Meat Bits super premium canned meat contains bits of 100% chicken, beef or rabbit in a mild vegetable gravy. It provides, via a variety of tastes, a daily food supplement. This type of canned meat contains more liquid and is therefore suitable to be mixed with dry food, pasta or rice. Paté with Bits super premium canned meat contains real meat bits in a paté-style blend. This delicious paté (from the French word for paste), is made from minced meat. The product is 97% chicken, salmon, duck and lamb meat. The can contains reduced amounts of liquid and is suitable for the BaRk diet or for instance, served separately as a meal for dogs with poor teeth. Cans of One Meat consist of one type of meat which reduces or eliminates possible undesirable reactions to typical sources of protein. The Lamb Puppy One Meat variety has been developed for puppies, and the Venison Small Breed One Meat variety for adult small breed dogs. One Meat is a suitable alternative to dry food for sensitive dogs or those with allergies.